1 Thessalonians 5:9-10, “For God has not destined us for wrath, but to obtain salvation through our Lord Jesus Christ, who died for us so that whether we are awake or asleep we might live with him. John 14:1-6, “Let not your hearts be troubled. Believe in God; believe also in me. In my Father’s house are many rooms. If it were not so, would I have told you that I go to prepare a place for you? And if I go and prepare a place for you, I will come again and will take you to myself, that where I am you may be also. And you know the way to where I am going.” Thomas said to him, “Lord, we do not know where you are going. How can we know the way?” Jesus said to him, “I am the way, and the truth, and the life. No one comes to the Father except through me. Today, May 3rd, 2012 is the National Day of Prayer. 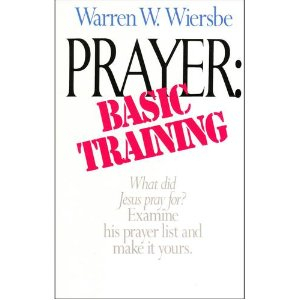 On this day I’m posting an excellent excerpt from a book on how to pray from Dr. Warren W. Wiersbe. He bases this book on the “real Lord’s prayer.” What we have traditionally called “The Lord’s Prayer” in Matthew 6 is the way Jesus taught his disciples to pray. However, in John 17 we get a glimpse into the prayer life of Jesus on His way to the cross and back to glory with the Father. The best way we can learn about prayer, is to do a careful study of John 17, and see firsthand how, what, and why Jesus prayed. Without further ado – enjoy Wiersbe’s observations about our Lord’s famous prayer from John chapter 17. This request from one of the disciples (Luke 11:1) gave evidence of real spiritual insight. We must learn how to pray. While praying is as natural to the Christian as breathing is to a mammal, even breathing must be studied and practiced if it is to be correct. Singers and public speakers work on their breathing so that they get the most out of their voice and don’t injure it. The fact that we have been praying since childhood is no guarantee that we really know how to pray effectively. Many different prayer postures are recorded in the Bible, and all of them are acceptable. Some people bowed their knees when they prayed (Genesis 24:52; 2 Chronicles 20:18; Ephesians 3:14). When Jesus prayed in Gethsemane, He began by bowing His knees (Luke 22:41); He then fell on His face as He talked to the Father (Matthew 26:39). It was Daniel’s practice to kneel when he prayed (Daniel 6:10), but King David sat when he talked to God about the promised kingdom (2 Samuel 7:18). Abraham stood when he interceded for Sodom (Genesis 18:22). So there are many postures for prayer. The important thing is the posture of the heart. It is much easier to bow the knees than to bow the heart in submission to God. While the outward posture can be evidence of the inward spiritual attitude, it is not always so. Again, the important thing is the posture of the heart. The biblical pattern for prayer is to the Father, in the name of the Son, in the power of the Spirit. Jesus addressed His Father six times in this prayer. (Some people say “Father” or “Lord” with every sentence that they pray. This is a bad habit that should be cured.) Four times He simply said “Father”; the other two times, He called Him “Holy Father” and “righteous Father” (verses 11 and 25). From this, I gather that it is not wrong for us to use suitable adjectives when we address our Father in heaven. However, we must be careful to mean what we say and not overdo it. We address the Father, of course, because prayer is based on sonship. In what we traditionally call “The Lord’s Prayer” (Matthew 6:9-13), Jesus taught His disciples to pray, “Our Father….” Jesus never prayed “Our Father.” We noted in chapter 1 that Jesus had a different relationship to the Father because He is the eternal Son of God. He said, “I ascend to My Father and your Father, and My God and your God” (John 20:17). We hear people addressing their prayers to the Son and even to the Holy Spirit. Is this wrong? When Stephen gave his life for Christ, he saw Jesus in heaven and addressed his prayer to him: “Lord Jesus, receive my spirit!” (Acts 7:59). I know of no prayer in the Bible addressed to the Holy Spirit. Since our prayers are addressed to God, and since Father and Son and Holy Spirit are all in the Godhead, technically we can address our prayers to each of them. However, the biblical pattern seems to be that we pray to the Father, in the name of the Son, and through the power of the Spirit. Nowhere in this prayer does our Lord mention the Holy Spirit. He had in His Upper Room discourse taught the disciples about the Holy Spirit (John 14:16,17, 26; 15:26; 16:7-13). Jude 20 instructs us to pray “in the Holy Spirit,” which seems to relate to Romans 8:26, 27, verses that every serious prayer warrior should ponder. We cannot expect God to answer unless we pray in His will (1 John 5:14, 15). We discover the will of God primarily through the Word of God (Colossians 1:9, 10), and it is one of the ministries of the Spirit to teach us from the Word (John 16:13, 14). The fact that prayer is based on sonship suggests that the Father is obligated to listen when His children call. In fact, it is more than an obligation: it is the Father’s delight when His children fellowship with Him and share their needs. “If you then, being evil, know how to give good gifts to your children, how much more shall your Father who is in heaven give what is good to those who ask Him!” (Matthew 7:11). The Father’s heart reaches out in love to His own, and He longs to share good things with them. And the better we know our Father, the easier it is to pray in His will. Prayer is not like those little red boxes we see in buildings and occasionally on street corners, marked USE ONLY IN EMERGENCY. I enjoy sharing good things with my children, but if they only spoke to me when they were in trouble or in need of something, our relationship would quickly deteriorate. Unless we do the will of God, our living will negate our praying. “Father, the hour has come….” What hour? The hour for which He had come into the world. The hour when He would die on the cross, be buried, rise again, and finish the great work of redemption. You may trace this “hour” in John’s Gospel. John 2:4 – Woman, what have I to do with you? My hour has not yet come. John 7:30 – They were seeking therefore to seize Him; and no man laid his hand on Him, because His hour had not yet come. John 8:20 – These words He spoke in the treasury, as He taught in the temple; and no one seized Him, because His hour had not yet come. John 13:1 – Now before the Feast of the Passover, Jesus knowing that His hour had come that He should depart out of this world to the Father, having loved His own who were in the world, He loved them to the end. John 17:1- Father, the hour has come…. I think it was Phillips Brooks who said, “The purpose of prayer is not to get man’s will done in heaven, but to get God’s will done on earth.” If we want to pray in the will of God, then we must live in the will of God. Prayer is not something that we do; it is something that we are. It is the highest and deepest expression of the inner person. It is this profound relationship between practice and prayer that helps us understand such promises as Psalm 37:4: “Delight yourself in the Lord; and He will give you the desires of your heart.” A superficial reading of this promise would lead you to believe that God is a doting Father who plays favorites with those who pamper Him. But that is not what this promise says. If we delight in the Lord, and seek to please Him in everything, then something is going to happen to our own desires. His desires become our desires. We start to say with our Lord, “My food is to do the will of Him who sent Me, and to accomplish His work” (John 4:34). Our praying, then, is simply the reflection of God’s desires in our own heart. There is a price to pay when we sincerely pray in the will of God. Jesus was about to receive the cup from His Father’s hand (John 18:10, 11). The Father had prepared the cup, and the hour had come. But Jesus was not afraid. Peter tried to protect the Master, but Jesus rebuked him. “The cup which the Father has given Me, shall I not drink it?” (John 18:11). We need never fear the will of God; and, if we are in the will of God, we need never fear the answers He gives to our prayers. If a son asks for bread, will he receive a stone? If he asks for a fish, will his father give him a snake? Living in the will of God makes it possible for us to “pray without ceasing” (1 Thessalonians 5:17). This command obviously doesn’t mean that we are to go around mumbling prayers. Our real praying is expressed by the desires of our heart. If our lips frame requests that are different from the desires in our heart, then we are praying hypocritically. God does not hear words; He sees hearts. So, when we live in the will of God, the desires of our heart should become more and more godly; and these desires are really prayers that constantly ascend to the Lord. Jesus lived on a divine timetable. When He told His disciples He was going back to Judea to help Mary and Martha and Lazarus, the disciples protested. “Rabbi, the Jews were just now seeking to stone You, and are You going there again?” What was our Lord’s reply? “Are there not twelve hours in the day?” (John 11:8, 9). He knew that He was safe in the Father’s will, and that they could not kill Him until His hour had come. God in his mercy can and does answer “emergency prayers,” but He prefers that we be in constant communion with Him. (In fact, if we seek to live in His will, we will have fewer emergencies!) If prayer is an interruption to our lives, then something is wrong. The fact that we sustain an attitude of prayer does not mean we avoid regular times of prayer. 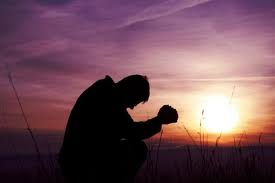 It is the regular occasion of prayer that makes possible the constant attitude of prayer. We do not enjoy Thanksgiving dinners or holiday feasts at every meal; but we are able to enjoy those special times because we have eaten our regular meals three times a day. We begin the day with prayer; we pray at mealtime; we lift prayers to God during the day as the Spirit prompts us; we close the day in prayer. Like our breathing, our praying becomes so much a part of our lives that we are often not conscious of it. The word glory is used in one form or another eight times in this prayer. What does it mean? In the Old Testament, the Hebrew word translated “glory” means “weight, that which is important and honorable.” (Paul’s phrase “an eternal weight of glory” in 2 Corinthians 4:17 carries this idea.) In the New Testament, the Greek word translated “glory” means “opinion, fame.” Theologians tell us that the “glory of God” is the sum total of all that He is, the manifestation of His character. The glory of God is not an attribute of God, but rather is an attribute of all His attributes! He is glorious in wisdom and power, glorious in His mighty works, and glorious in the grace He bestows upon us. You have probably noticed that “The Lord’s Prayer” teaches us to put God’s concerns before our own. We pray “Hallowed be Thy Name, Thy kingdom come, Thy will be done” before we bring up our own needs-daily bread, forgiveness, and protection from sin. When our praying centers on the glory of God, we see our needs and requests in proper perspective. Matters that seemed so important have a tendency to shrink to their proper size when measured by the glory of God. Whatever we pray about, in the will of God and for the glory of God, will be granted by our heavenly Father. When we are available to bring glory to God “on the earth” (verse 4), then God is available to provide what we need. Was Jesus praying selfishly when He said, “Glorify Thy Son”? No, he was not. To begin with, He had shared that glory with the Father “before the world was” (verse 5). When He came to earth in His body of flesh, He veiled that glory. Peter, James, and John saw it on the Mount of Transfiguration (John 1:14; Matthew 17:1-8), but it was not revealed to anyone else. When our Lord asked the Father to glorify Him, He was only requesting the return of that which was already His. But something more is involved. The glorification of Jesus Christ meant the completion of the great work of salvation. In this prayer, Jesus spoke as though His work on the cross were already finished. “I glorified Thee on the earth, having accomplished the work which Thou hast given me to do” (verse 4). If Jesus Christ had not been glorified, there could be no salvation for sinners today. The Holy Spirit would not have been given. There would be no church, no New Testament, no Christian life. While our Lord did pray for Himself, it was not a selfish prayer; for He also had us in mind. And, after all, it cost Him His life on the cross for this prayer to be answered. By no stretch of the imagination could you call it selfish. God answered the prayer of His Son. “The God of Abraham, Isaac, and Jacob, the God of our fathers, has glorified His servant Jesus…” (Acts 3:13). In Peter 1:21 we are told that the Father “raised Him from the dead and gave Him glory….” There is a glorified Man in heaven today! In Jesus Christ, deity and humanity share glory. This assures us that one day we shall share God’s glory, for “we shall be like Him, because we shall see Him just as He is” (1 John 3:2). Jesus Christ has already given His church the glory (verse 22). The tense of the verb in Romans 8:30 has always astounded me: “…whom He justified, these He also glorified.” We are just as much glorified as we are justified, but the glory has not yet been revealed. All of creation, now travailing because of sin, is eagerly awaiting “the revealing of the sons of God” (Romans 8:19); for only then will creation be set free to enjoy “the freedom of the glory of the children of God” (Romans 8:21). “If God answers this request,” we should ask ourselves, “will it bring Him glory? And what will this answer look like when Jesus comes again?” I have discovered that testing my prayers by the glory of God is a good way to detect requests that are selfish and short-sighted. Suppose the Master had looked at His situation through human eyes alone. Could He have prayed as He did? No; it would have been impossible. Suppose He looked back on His years of ministry and evaluated that ministry from a human point of view. It would have looked like failure. He had very few followers, and His own nation had rejected Him. Humanly speaking, His work had failed. Yet He prayed, “I glorified Thee on the earth, having accomplished the work which Thou hast given me to do” (verse 4). By faith, He would be that “grain of wheat” planted in the ground, and He would produce much fruit (John 12:24). Or, suppose He had looked around. What would He have seen? A small band of men, all of whom would fail Him in one way or another. Peter would deny Him three times. At that very hour, Judas was bargaining with the Jewish council and selling the Master like a common slave. Peter, James, and John would go to sleep in the Garden when they should be encouraging their Lord. And all of the men would forsake Him and flee. Yet by faith, Jesus prayed, “I have been glorified in them” (verse 10). By faith, He prayed for them as they would be sent into the world to share the Gospel message. In spite of their past failures, these men would succeed! “I do not ask in behalf of these alone,” He said to the Father, “but for those also who believe in Me through their word” (verse 20). These weak men would invade a world that hated them and bring many to the feet of the Savior. Jesus saw all of this by faith. If our Lord had looked ahead, He would have seen arrest, conviction, and death on a cross. Humanly speaking, it was defeat; but by faith, He saw it as it really was-victory! 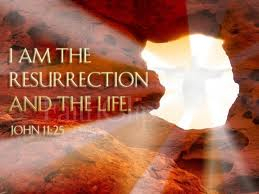 He said to Andrew and Philip, “The hour has come for the Son of Man to be glorified” (John 12:23). Glorified! We would have said, crucified. But he looked beyond the cross to the glory that would come. “Who for the joy set before Him endured the cross, despising the shame, and has sat down at the right hand of the throne of God” (Hebrews 12:2). When we pray by faith, we start seeing things from the divine perspective. Faith enables us to see the invisible. Faith treats as present and accomplished that which God will do in the future. “For we walk by faith, not by sight” (2 Corinthians 5:7). In my own prayer life, God is constantly seeking to bring me back to these fundamentals. It is easy for me to get detoured by some external thing, and my Father has to remind me that effective praying must come from the heart. I must repeatedly examine my relationship to the Father to make sure I am in His will, and that I want to be in His will. (“Doing the will of God from the heart,” Ephesians 6:6.) I must examine my motives: Am I praying so that the Father will be glorified or so that I might have my own comfortable way? Am I praying by faith, basing my requests on His Word? Perhaps all of this seems to make praying appear very complex and difficult. Really, it is not. True prayer is the by-product of our personal “love relationship” with the Father. “He who has My commandments and keeps them, he it is who loves Me; and he who loves Me shall be loved by My Father, and I will love him, and will disclose Myself to him” (John 14:21). 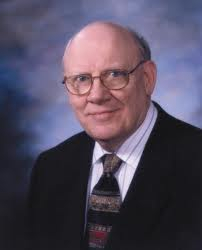 About the Author: Warren W. Wiersbe is the Distinguished Professor of Preaching at Grand Rapids Baptist Seminary, Warren Wiersbe is the author of more than 100 books. Billy Graham calls him “one of the greatest Bible expositors of our generation.” The article above was adapted from Warren W. Wiersbe. Prayer: Basic Training. Wheaton, IL: Tyndale, 1988, 23-32. Are You Waiting For The Lord? out of the miry bog, and set my feet upon a rock, making my steps secure” (v.2). Waiting on the Lord is worthwhile because of what He is going to do for us. It is not idleness, nor is it carelessness. And certainly isn’t complacency. Instead, waiting is that divine activity of expecting God to work. And He never disappoints us. Figuratively, David had been down in a horrible pit. He was sinking in the mire. But he waited on the Lord. 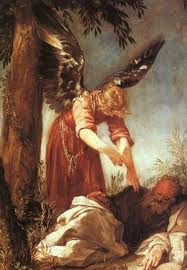 And God not only pulled him out of the pit, but He put him on a rock and established his footing. He said, “David, I’m going to take you out of the mire and put you in the choir.” “He put a new song in my mouth, a song of praise to our God” (v.3). Are you waiting on the Lord? Are you praying about something and asking, “O God, when are You going to do this? When are You going to work?” Remember, one of these days your praying will turn to singing. Your sinking will turn to standing. Your fear will turn security as He puts you on the rock. Just wait on the Lord. He’s patient with you. Why not be patient with Him and let Him work in His time? Waiting for the Lord’s help sometimes forces you to your limits. But take comfort in knowing that while you wait on Him, God is working out His purposes in your life. Are you in a difficult situation, waiting for God to do something? Leave your burden with the Lord and trust Him to act. He never disappoints you when wait on Him. 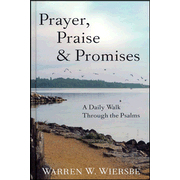 About the Author: Warren W. Wiersbe is the Distinguished Professor of Preaching at Grand Rapids Baptist Seminary, Warren Wiersbe is the author of more than 100 books. Billy Graham calls him “one of the greatest Bible expositors of our generation.” Some of Wiersbe’s recent books include Your Next Miracle, The 20 Essential Qualities of a Child of God, The Bumps are What You Climb On, Classic Sermons on the Fruit of the Spirit, Classic Sermons on Jesus the Shepherd, Key Words of the Christian Life, Lonely People, A Gallery of Grace, Real Peace: Freedom and Conscience in the Christian Life, and On Being a Leader for God. (1) Is the message solidly based on Scripture? (2) Does it exalt the Person and work of Jesus Christ? (3) Will it meet the needs of the people? (4) Is the theme a timeless truth worth talking about? (5) Is the message organized so that I can preach it clearly and the people understand it easily? Is there a concise and clear statement of purpose? Is there a clear plan of development? Is there practical application that makes the message personal? (6) Are all Scripture references and historical facts accurate? (7) Is the message real to me personally so that I may make it real to others? (8) Does the message fit into the total “preaching plan” for this church and into the context of the church’s ministry at this time? (9) Does the message fit into the ministry of the Church at large and Christ’s concern to save a lost world? (10) Is the message worth preaching again? *Warren W. Wiersbe is the Distinguished Professor of Preaching at Grand Rapids Baptist Seminary, Warren Wiersbe is the author of more than 100 books. Billy Graham calls him “one of the greatest Bible expositors of our generation.” Interestingly, Warren’s earliest works had nothing to do with scriptural interpretation. His interest was in magic, and his first published title was Action with Cards (1944). Warren wrote many articles and guidebooks for YFC over a three-year period, but not all his manuscripts were seen by the public eye. One effort in particular, The Life I Now Live, based on Galations 2:20, was never published. The reason, Warren explains with his characteristic humor, is simple: it was “a terrible book…Whenever I want to aggravate my wife, all I have to say is, ‘I think I’ll get out that Galations 2:20 manuscript and work on it.’” Fortunately, Warren’s good manuscripts far outnumbered the “terrible” ones, and he was eventually hired by Moody Press to write three books. 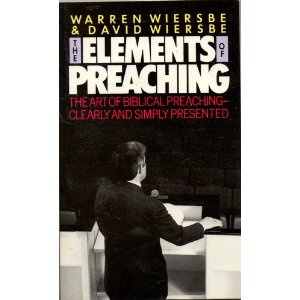 This helpful handbook by father and son preaching veterans – Warren and David Wiersbe is divided into two sections. There are twenty-six preaching principles and fourteen preaching prohibitions that are developed. Each chapter is only one to two pages in length. They really pack this book in with great quotes, wisdom, and the type of advice that you can only get from preachers that have put a lot of mileage in the pulpit. Preaching is the communicating of God’s truth by God’s servant to meet the needs of people. The Preacher is a part of the message. Preaching is an act of worship. A sermon must have both intent and content if it is to be effective. The sermon should be based on the essentials of the text and not the accidentals of the translation you are using. Build your outline on the unique features of the text. Keep your preaching within the bounds of what the text says and what the people can receive. Preach to express, not to impress. Sermons preached as part of a series must be independent and yet related. Never be satisfied with your preaching. Is the message solidly based on Scripture? Does it exalt the Person and work of Jesus Christ? Will it meet the needs of the people? Is the theme a timeless truth worth talking about? Is the message organized so that I can preach it clearly and the people understand it easily? Is there a concise and clear statement of purpose? Is there a clear plan of development? Is there practical application that makes the message personal? Are all Scripture references and historical facts accurate? Is the message real to me personally so that I may make it real to others? Does the message fit into the total “preaching plan” for this church and into the context of the church’s ministry at this time? Does the message fit into the ministry of the Church at large and Christ’s concern to save a lost world? Is the message worth preaching again? I have used this little book (approximately 100 pages) as a refresher, idea generator, and kick-starter for years. It’s well worth having for beginning, intermediate and experienced preachers of the Word. Perhaps the most important asset of this book is the encouragement it will give you from two men who have been faithfully delivering God-centered sermons in the trenches for years. First, the writer shows how Satan is the ultimate deceiver, destroyer, ruler, and accuser. In each of the first four chapters Wiersbe gives an Old Testament example in each of these four areas in order to demonstrate Satan’s target, weapon, purpose, and then tactical defenses we can use against his deceptions, evil plans, feeding our pride, and his accusations towards us. Secondly, the middle of the book is about increasing our faith in God, and how not to give Satan a foothold in our life so as not to paralyze and immobilize us in God’s work on earth. He focuses on the positive ways we can overcome the Evil One’s tactics by trusting and obeying Christ. Thirdly, Wiersbe gives a masterful exposition of all the armor we have been given in the battle against Satan and demons from Ephesians 6, and how Satan attacks the family, and churches as a key strategy in his arsenal of tactics. Overall, this book is thorough, biblically sound, and very useful in its many practical applications. I highly recommend this book – especially if you have never read anything on the wiles of the Enemy and how to overcome our greatest Adversary. 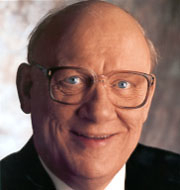 *Distinguished Professor of Preaching at Grand Rapids Baptist Seminary, Warren Wiersbe is the author of more than 100 books. Billy Graham calls him “one of the greatest Bible expositors of our generation.” Interestingly, Warren’s earliest works had nothing to do with scriptural interpretation. His interest was in magic, and his first published title was Action with Cards (1944).